The angst and anxiety of a having a teen driver and being a teen driver is tough for both sides. The Colorado DMV has come up with a way it hopes can alleviate some of the stress. The Parent's Supervised Driving Guide gives parents advice on their teenager's supervised driving sessions, and how to keep giving input - past the state requirement of 50 hours. All DMV offices have the guide. It includes a contract for parents and teens to sign that lays out rules for both. Watch the full 9News report. 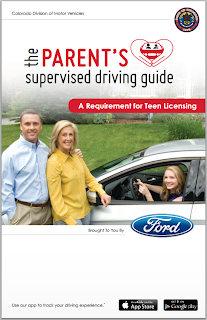 Download the Parent's Supervised Driving Guide from the DMV.